4,000TPD Soybean Crushing Line wanted-Choose 4,000TPD Soybean Crushing Line Manufacturer | Myande Group Co., Ltd.
4,000 T/D Soybean Pretreatment and Extraction line built by MYANDE was successfully launched and started production. The complete commissioning process, starting from feeding soybean into the workshop, through conditioning, cracking, flaking, expansion, flaking, extraction, to desolventizing, took merely 6 hours. The complete line has so far been running stably with all technical parameters up to the designed standards. 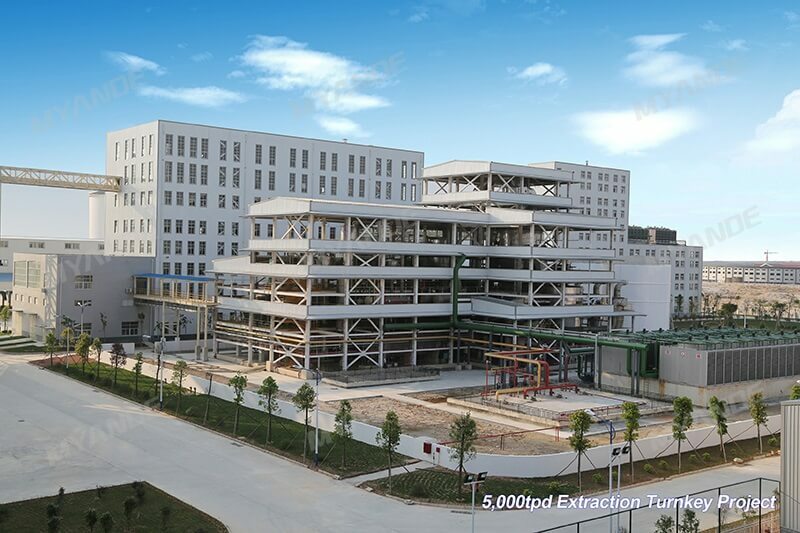 This 4,000 T/D (5,000 T/D with expansion) soybean pretreatment and extraction project is located in China-Malaysia Industrial Park in Qinzhou, Guangxi. As the biggest edible oil plant in this industrial park, the successful launch of this line marks a significant step forward of Beibu Gulf International Port Group and will form a processing scale of 1.3 million tons of soybean per year, and will enable the company to secure more market opportunities and strengthen its business reputation. Incorporating the most advanced production technology and equipment, this new soybean pretreatment and extraction line will be able to yield high-quality and safe products. This line incorporates Myande flakers noted for low noise, low vibration, stable performance, easy operation and other technical features. Manufactured in Myande’s state-of-art facilities and assembly line, Myande flakers are widely recognized for their supreme performance. Other features of Myande flakers include convenient integration of their control system into the entire plant control system, an ideal feature that greatly enhances their user-friendliness and reliable control of operational parameters. This project will incorporate Myande double-deck crackers complete which features separate driving system for each deck of rolls. Other technical features of Myande crackers include enlarged belt angle, which ensures high transmission efficiency, and unique roll gap adjustment mechanism that allows for both synchronic adjustment of both ends of rolls or separate adjustment of either end of rolls. This feature offers a special benefit to the users by making roll adjustment easy and reliable. Myande’s specially designed automatic belt tensioning device ensures high reliability and long belt life. Myande loop chain conveyor, which has been proven to be highly effective in over then similar projects, will be incorporated in this project. Widely recognized by users for its reliability and performance, Myande loop chain conveyor offers a highly integrated equipment layout with multiple feeding and discharging points. The successful launch of Myande loop conveyor terminated the situation that this type of equipment had to be imported from abroad. Myande elevating chain conveyor, which involves various technical and engineering optimization, features high conveying efficiency and low power consumption. Compared to competitive machines available on the market, it saves up to 20% energy. Myande’s specially designed automation system features user orientation and user-friendliness. Through vivid and true-to-life assimilation display, it offers the operator with a pleasant learning and operational experience. Its technical features include a paper-free help system and smart initiative maintenance mechanism that effectively get rid of possible operational errors at its beginning stage.